Chocolate muffins is extremely rich, moist and chocolatey in texture. 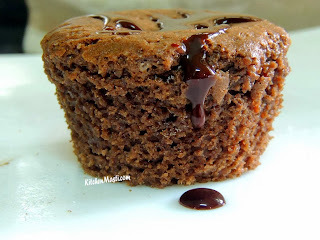 I'm sure that all the chocolate lovers will love it very much. 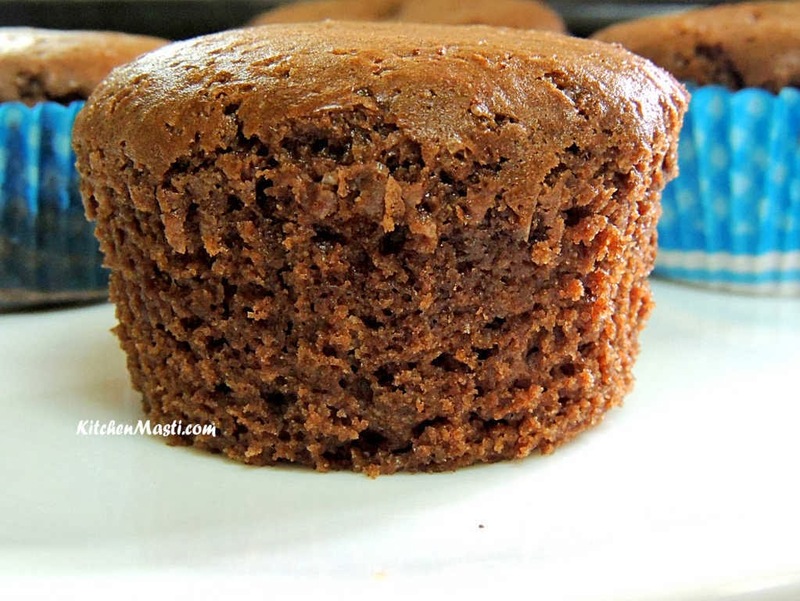 This chocolate oriented muffins holds an important place during kids birthdays, kitty parties and so on. You can make it even more interesting by applying some toppings using whipped cream, or with some choco chips or sev. How To Prepare Chocolate Muffins. This cake requires around thirty minutes for baking and fifteen minutes to prepare the cake batter. Maida ( all purpose flour) - 1 1/2 cup. Cocoa powder - 5 tbsp. Method To prepare The Cake. Pre - heat the oven @ 200 C for 10 minutes. Sieve the flour, baking powder, salt, cocoa powder twice. Take a big mixing bowl and add all the sieved ingredients. Now take another bowl and add oil and sugar in it. Beat it gently so that the sugar gets completely dissolved. Add vanilla essence and finally add the required water in to it. Mix well with a whisker and add 1 / 2 tsp lemon juice to it. 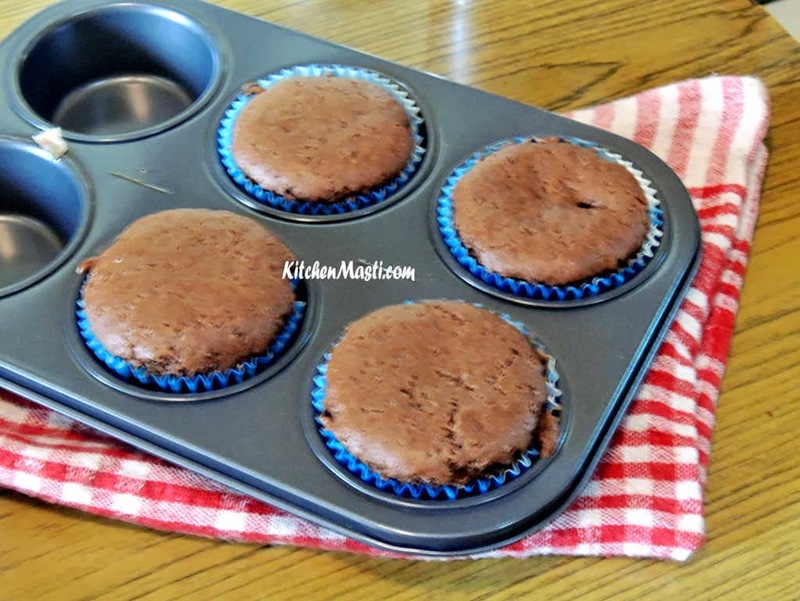 Now take a muffin tray and fill half of the cups with the batter. 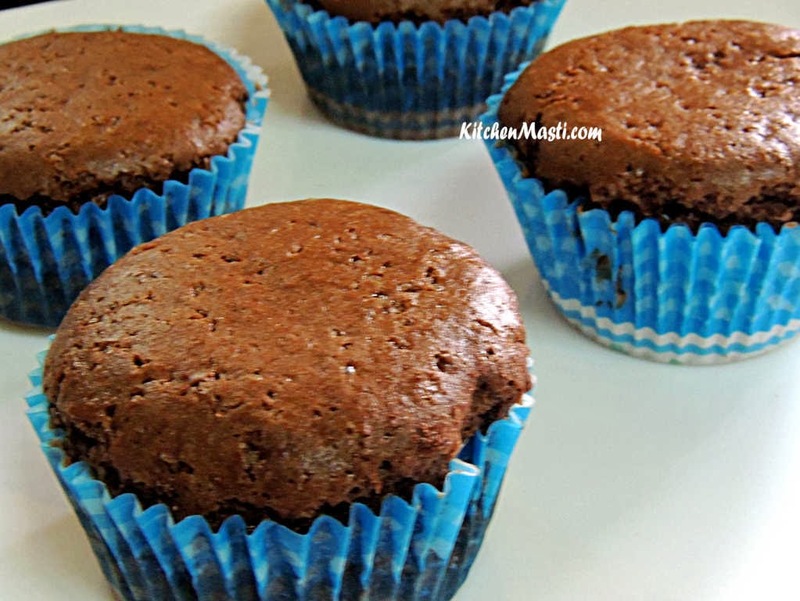 Place the muffin tray inside the oven and bake it at 175 c for around thirty minutes. Later on you can insert any thin metal or wooden skewers into the muffins and check. If the muffin batter does not stick to the skewer than the muffins are perfectly done. Once the muffins are cooled, it is ready to be served. Pre heating the oven is very very important for a perfect cake. Lemon juice is added to the batter to get a perfect texture. However, please remember that once the lemon juice is added to the batter, it should be kept aside for a long period of time. You can decrease the quantity of cocoa powder and replace it with dark chocolate for a different taste. See to it that the batter is not filled to the brim of the muffin tray since it requires some space to rise. 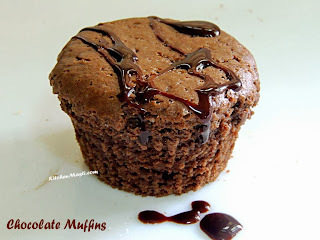 Alternatively, you can drizzle the chocolate sauce over the muffins and serve it for more delicious taste.